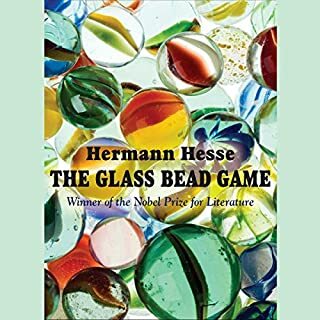 What did you love best about The Glass Bead Game? The elusiveness of comprehension. The moment one thought one understood the Glass Bead Game another perspective was thrown in. Is it a game or an allegory regarding our pedestrian life? The use of language is like a beautiful song. The setting - Castalia a utopia for the intellectually gifted. The allusion to homosexuality. For instance, the desirability that some of the boys/men had to knecht and Knecht's strong attractions to some of his acquaintances all presented as asexual encounters. No I have not, but would like to. I love his voice. No, I listened several chapters at a time.